This year is about simplifying my life and my family’s life so I decided to make this sweet little vintage apron for the Great Vintage Sewalong. I haven’t decided on the fabric yet. One goal I have this year is not to buy any more fabric for myself at least until I use my stash. Which means I won’t be buying any fabric for myself this year. I have some fabric in the ol’ cedar chest that I think will work great. 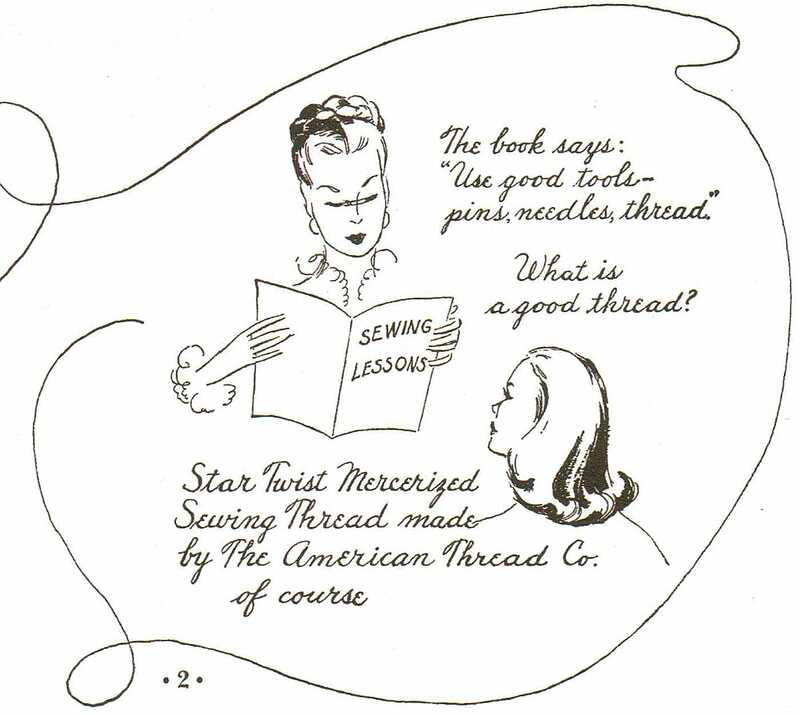 This pattern comes from a pattern book distributed by the American Thread Company and published in 1945. Sounds like if you make an apron from this book we will win the war. Those ad execs knew how to tug at a person’s heart strings or apron strings. 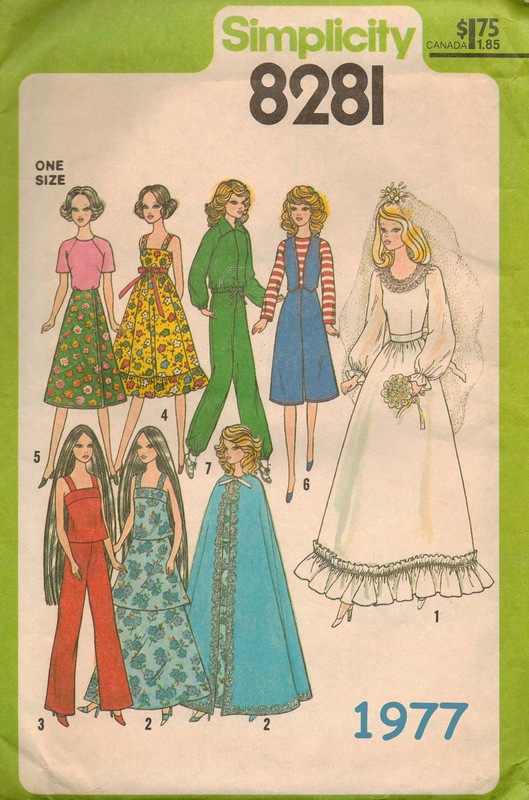 The book contains several apron patterns for women and children. 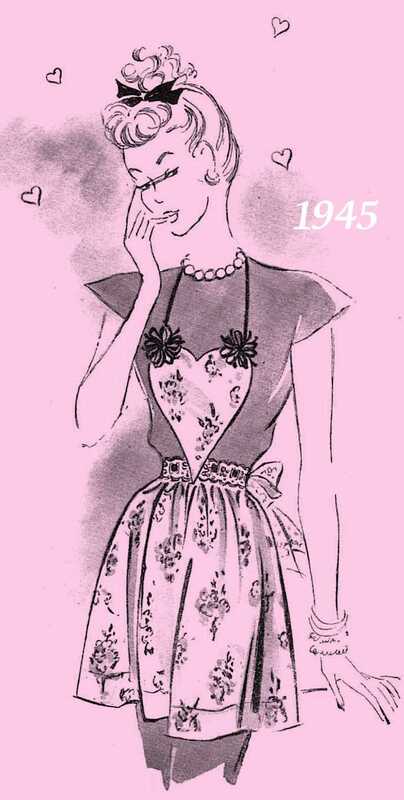 It also has apron patterns for the men when they return from the war. Fire up the grill! Also included are crochet patterns for aprons. I feel like I’m reading an old home ec. textbook. 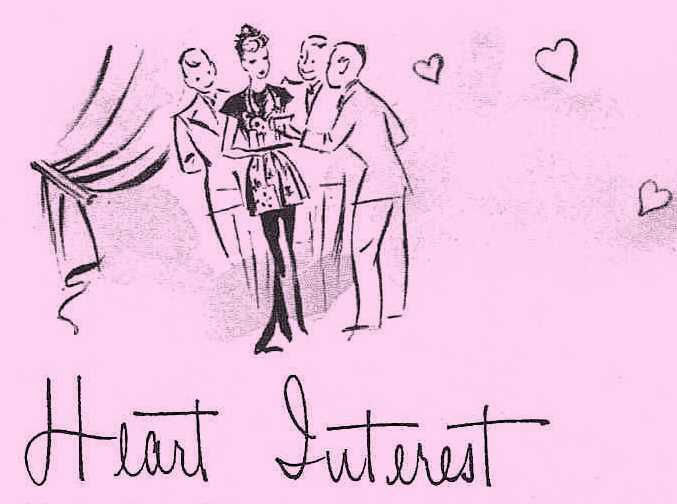 I chose “heart interest” because it is easy and it’s the season of love. Doesn’t our hostess look great in her new apron? Now, in the midst of going through my old patterns my little girl found some vintage doll patterns. 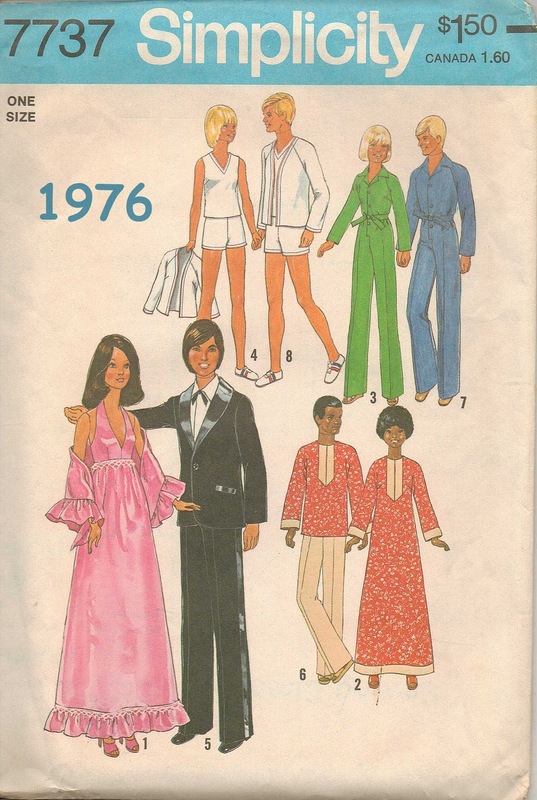 So it looks like Barbie will be getting some cool vintage clothes made. I’m so excited to be a part of the Great Vintage Sewalong of 2011. It is a fine group of people and expert seamstresses. It’s like going to a sewing class every day. I’ve learned so much already. Thank you friends. Have a great day and happy sewing. I sew love your blog. I'm thinking about making some 50's type dresses. This inspires me to get on with it. I'm now following and would love for you to follow me back. Bucket list – LEARN to sew. I LOVE aprons, I love vintage and I love this post it got me all excited. I am going to take sewing classes that's all there is to it. Your sewing book from 1945 is a treasure. I'm looking forward to seeing your finished apron.